North African operators will now enjoy the benefits of Huawei's new Network Operation Center, located in Cairo. Huawei, a global information and communications technology (ICT) solutions provider, launches its Egypt Network Operation Center (NOC) in Smart Village, Cairo, Egypt, on November 20th. The network operation center is dedicated to operate and manage telecommunication networks, and provide professional services to operators in Northern Africa Region. Dr. Ahmed El Sherbini, Vice Minister of The Egyptian Ministry of Communications and Information Technology (MCIT), His Excellency Mr. Song Aiguo the Chinese Ambassador in Egypt and Mr. Ma Jianchun, the Chinese Economic Counselor in Egypt, and more than 17 prominent media figures and heads have attended the launch ceremony. While touring the state-of-the-art NOC, Dr. Ahmed El Sherbini, Vice Minister of MCIT, said, "The NOC is fairly impressive and Huawei's long-term contribution to the telecom industry in Egypt and the Region is highly appreciated." A network operations center (NOC) is a central location where engineers and telco experts manage and control the telecom network of one or more service providers 24/7 to ensure the best possible operation of the network which enables stability and quality to be passed on to the subscribers. The main function of Egypt Network Operation Center is to provide network operation services such as front-office operation (help desk, fault handling, network surveillance), back office operation (corrective & preventive maintenance, change management, capacity management, vendor support management), work force management, operation support management (SLA management, security management, IT platform management) and network performance management. The NOC is equipped with latest tools and OSS systems which supports various technologies including 2G, 3G and future 4G LTE wireless networks. Huawei Egypt NOC provides customers with cost-effective operation, as its process is highly streamlined and economies of scale can be achieved due to multiple networks management in a centralized location, while the network quality can be improved through the professional process, tools, staff and Huawei's global best practice experiences sharing. Furthermore, Huawei has always regarded network security as top priority, which provides physical security, data network security and secured data handling policy to protect customer's data from unauthorized access and improper usage. Huawei established its presence in North Africa in 1999 and now serves more than 30 telecom service providers in region. The Egypt NOC is latest areas for the continuous development and investment plan in the Region. "Huawei is committed to contribute to the ICT industry in Egypt and Northern Africa Region. We have a continuous knowledge development plan for local engineers and a partnership structure with our customers to provide best in class service offering Total Value Ownership," said Zou Zhilei, President of Huawei Northern Africa Region. "To date, Huawei has 3 Global Network Operation Centers in India (launched), Romania (launched), Mexico (in-process) and 5 Country Network Operation Centers globally (including Egypt NOC). 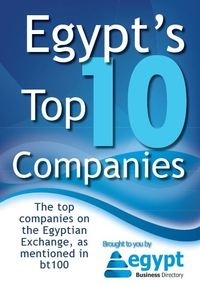 We have developed a strong commercial and services organization and we will continue to invest in Egypt and Northern Africa Region to reach our ultimate target: not only being a technology provider for operators, but a partner for the overall telecom solutions," added Zhilei.